December of Giveaways – Week 4! 1. Follow us on Pinterest here. 2. 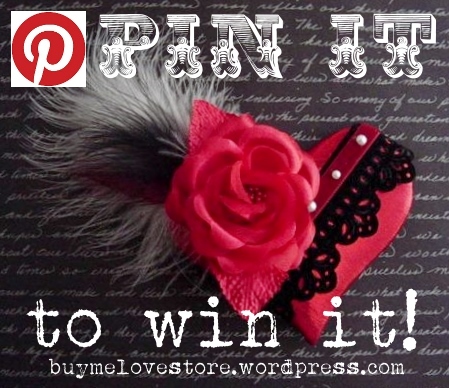 Pin the Pin It To Win It image on any of your Pinterest boards. 3. Comment on this blog post with your Pinterest username. You can enter a maximum of once a day by completing steps 1-3. The Week 3 giveaway will last through Sunday, 12/29/13. Open to US residents.Winner will be randomly chosen, and announced Monday, 12/30/13, on this blog page, our Facebook and Twitter accounts, and the winner will be contacted via the email listed with the account they use to comment (if possible.) Winner must respond via email (to buymelovestore@gmail.com) within 48 hours, or another winner will be randomly selected. Good luck, and happy pinning! Thoughtful Thursday – Last Minute Ideas To Save the (Holi)Day! 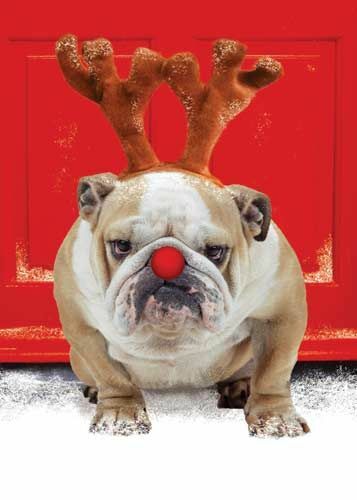 Put on that antler headband, and beat the bah-humbugs with our list of last minute holiday cheer! 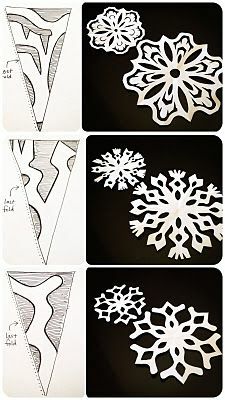 Speaking of snowflakes, here are some beautiful patterns to use! 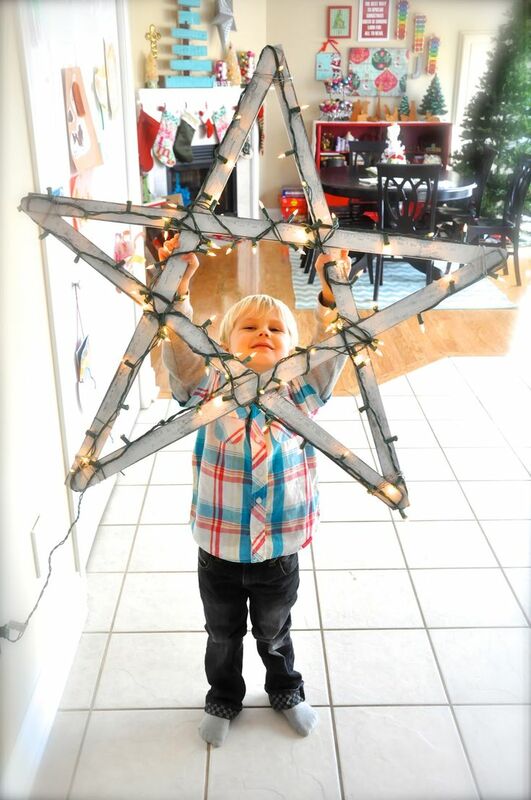 Make an inexpensive outdoor star decoration with yard sticks. 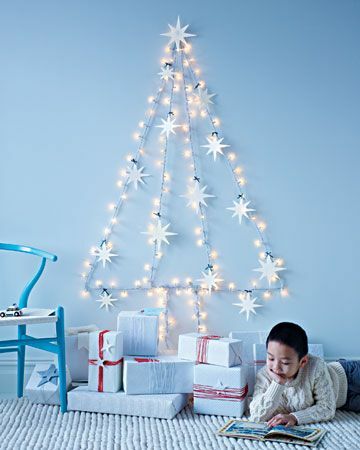 Forego the can of fake snow, and break out your glue gun instead! Forget the expensive wrapping supplies. 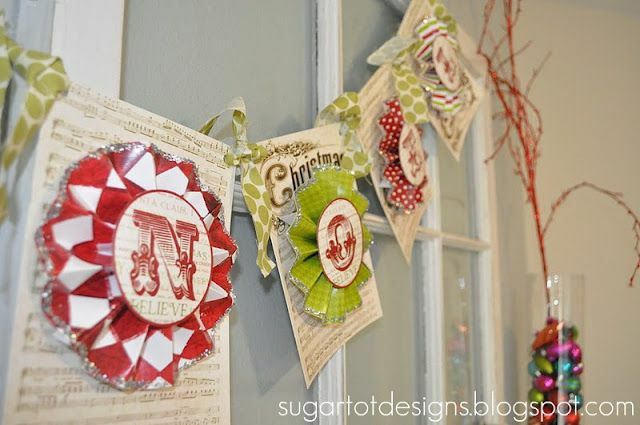 Use magazine or newspaper, plus these cute printable tags. An adorable gift for the women in your life! 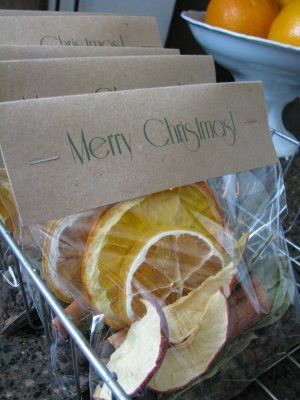 A natural home fragrance that smells like the holidays. A great gift for the neighbors! 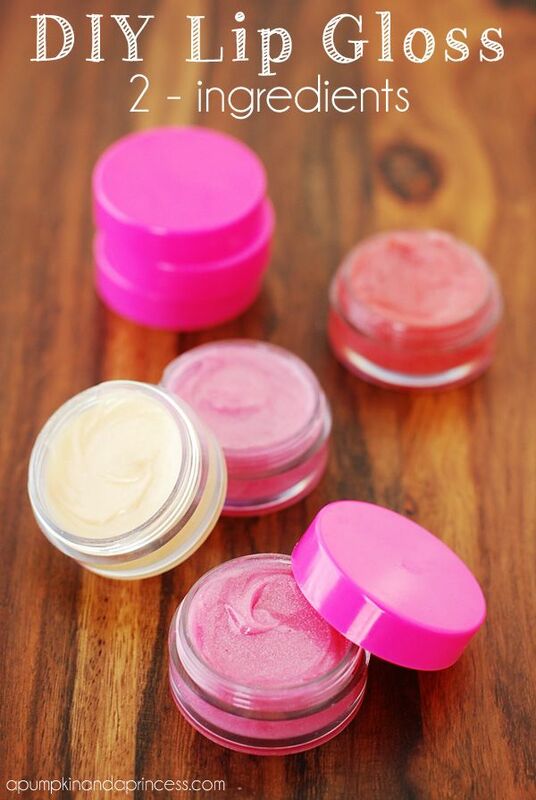 What tween or teen girl wouldn’t love some pretty lip gloss in their stocking? Whip up a big batch of this manly smelling shaving cream, and divide into small containers for a great gift. Add a straight razor (and print out a good how-to) for a gift the guys will use all year! December of Giveaways – Week 3! Our original Week 3 Giveaway winner didn’t respond, so our new winner is Jessica Tomlinson – congrats! Please respond to buymelovestore@gmail.com within the next 48 hours to claim your prize. It’s time for Week 3 of our December of Giveaways! A gold leaf dangles from a scrolling gold finding, accented with swags of matching gold-tone metal chain. 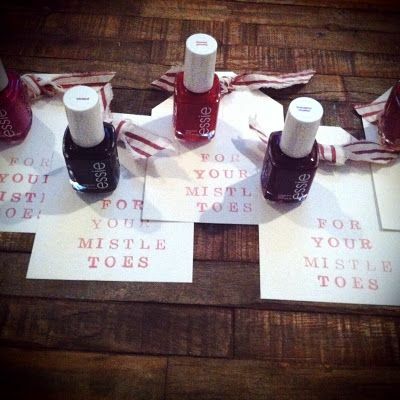 A perfect gift for your sweetheart, mom, sister, best friend, or anyone else you love this holiday season! The Week 3 giveaway will last through Sunday, 12/22/13. Open to US residents.Winner will be randomly chosen, and announced Monday, 12/23/13, on this blog page, our Facebook and Twitter accounts, and the winner will be contacted via the email listed with the account they use to comment (if possible.) Winner must respond via email (to buymelovestore@gmail.com) within 48 hours, or another winner will be randomly selected. December of Giveaways – Week 2! Our week 2 winner is Julie of Coco and Cocoa! To enter to win Week 3, go here. The ring is made of a vintage sequin and beaded applique, carefully backed with matching felt, and attached to an adjustable metal ring base that fits most sizes. A great cocktail ring for holiday parties! 1. If you don’t already follow us on Pinterest, follow us here. 2. Pin the “Pin It to Win It” image to any of your boards on Pinterest. If you don’t have a Pin It button on your toolbar, use the one at the end of this blog post. The Week 2 giveaway will last through Sunday, 12/15/13. Open to US residents. Winner will be randomly chosen, and announced Monday, 12/16/13, on this blog page, our Facebook and Twitter accounts, and the winner will be contacted via the email listed with the account they use to comment (if possible.) Winner must respond via email (buymelovestore@gmail.com) within 48 hours, or another winner will be randomly selected. I know it may look like snow, but it’s mostly 2 inches of ice on the ground and street. Our driveway isn’t smooth concrete, by the way – it’s gravel – and it still looks like this, but packed down and slick from walking on it. Now, to those of you up north, this scene might look pretty familiar, but to those of us in North Texas, it’s pretty rare. We tend to get snow once a year, around February, but ice like this is unusual. Of course, the city wasn’t prepared, so the roads weren’t prepped, and most of us are stuck at home. Fortunately, we’re within walking distance of a few gas stations and dollar stores, and we’re friends with our neighbors, so we haven’t been totally isolated. Arlington is a big city, though, and many people who live here work in Dallas or Fort Worth, which means they have to make it out of their icy neighborhoods before they can get on main roads and highways to make it there. So, we’re just waiting for Monday, when things are finally supposed to start melting for good. If you’re getting a little bored from being stuck inside, don’t forget about entering our giveaway here – today is the last day of our first week of giveaways! 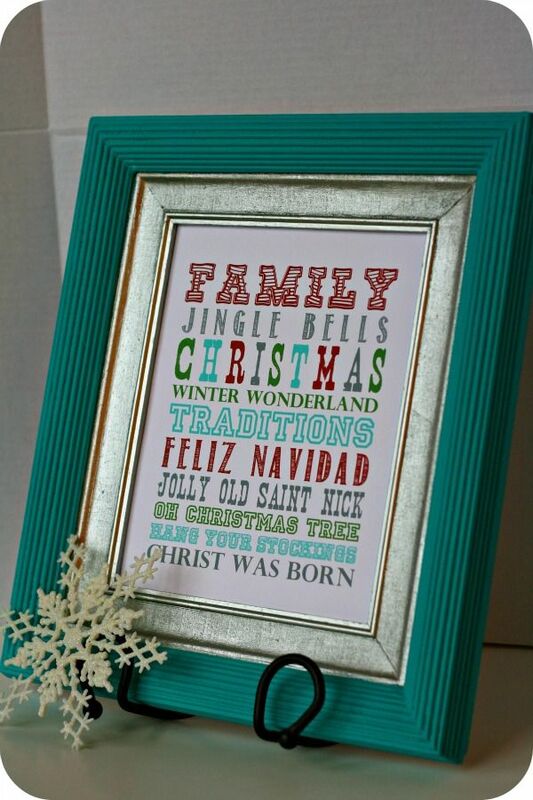 Here’s a list of Etsy shops to peruse: Icepocalypse Sale. Don’t forget, if you shop any EFW members’ shops, you can enter to win a giveaway worth $100! … Or kid-friendly snow day actvities? You can always start a new Pinterest board with pics of tropical vacations and summer outfits, or dance around to your favorite music to stay warm! 12/9: Our winner is Margaret of Hearts and Home! Comments for the first week’s giveaway are closed. Our team, Etsy Fort Worth, is hosting a fantastic giveaway this month. Make a purchase from any Etsy shop in the team from 12/3/13 to 12/24/13, and enter to win a prize package, including a $25 Etsy gift card, and gift-able prizes! At checkout, you’ll also receive an exclusive coupon code from participating shops to use in January. Visit the team blog for more info. This sweet hair accessory is made from red lamé, and covered in velvet trim, a red millinery rose, and black and white marabou feathers. Attached to a black hair comb. Valued at $22.50. 1. Follow us on Pinterest. Just one pin and comment is all it takes to enter, but you’re welcome to pin and comment once a day throughout the week. Obviously, the more days you pin and comment, the more chances you have of winning! The winner will be chosen randomly and announced on this blog post on Monday, 12/9. We’ll also announce the winner on Facebook and Twitter, and contact the winner via the email address listed on the account they use when commenting. Winner must respond by email (buymelovestore@gmail.com) within 48 hours, or another winner will be chosen. *Valid to US residents only. Today begins our second giveaway! The ring is made from a vintage applique, attached to an adjustable metal ring base that fits most sizes. 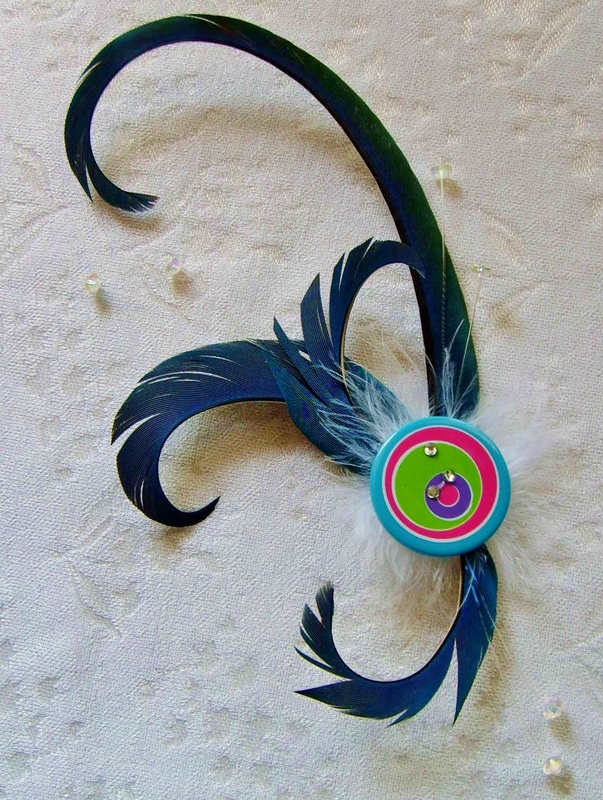 The back of the bow is carefully covered with matching felt for a soft, finished look. Perfect to wear at holiday parties! 1. Now through Sunday, 12/15/13, follow us on Pinterest. 2. Then, pin this giveaway to one of your boards by using the Pin It button on your browser, or the one at the end of this blog post. The winner will be chosen randomly based on the comments made, and will be announced here on this blog post on Monday, 12/16. Winner will also be announced on Facebook and Twitter, and the winner will be contacted by the email address associated with the account they use to comment below. Open to US residents. Enter up to once a day throughout the week by repeating steps 1-3. Voting will close at the end of the day Sunday, 12/15.